Sports >> Arts >> Adventure all summer long! 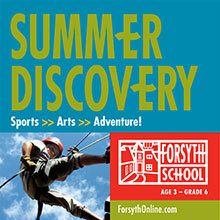 Forsyth Summer Discovery is the place to be this summer. Visit the blog to see what's happening at Forsyth Summer Discovery. From sports camps, to the slip & slide, to cycling in Forest Park, to the arts, to the Pre-Primary campers, and more, we're having a blast! Summer Discovery 2015 runs from June 8-August 7. Register online or contact Summer@ForsythOnline.com with questions. We've got a lot of talent at Forsyth Summer Discovery: singers, jugglers, gymnasts, dancers, pianists, you name it. 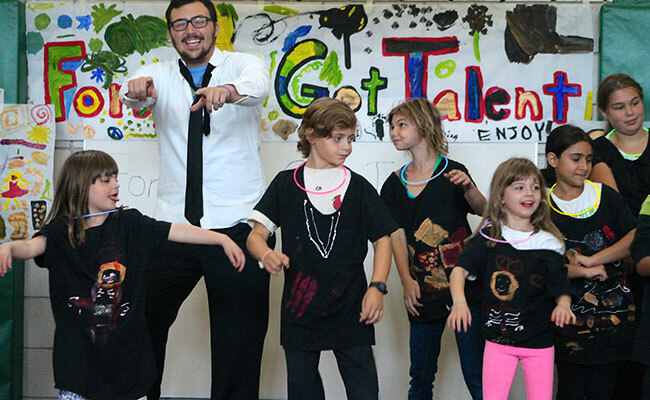 So, this week we had a talent show. 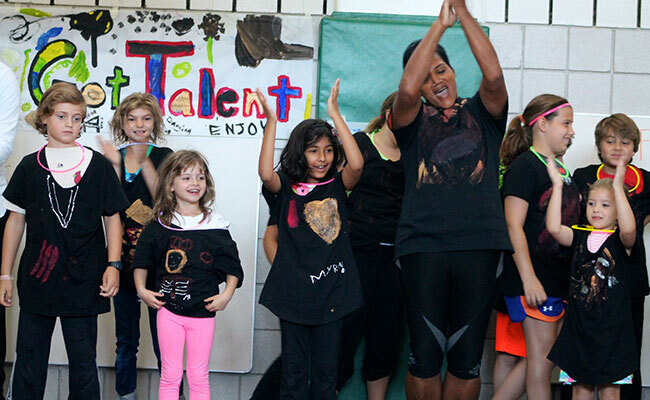 After the individual acts, our talented campers put on a grand finale with the whole cast. 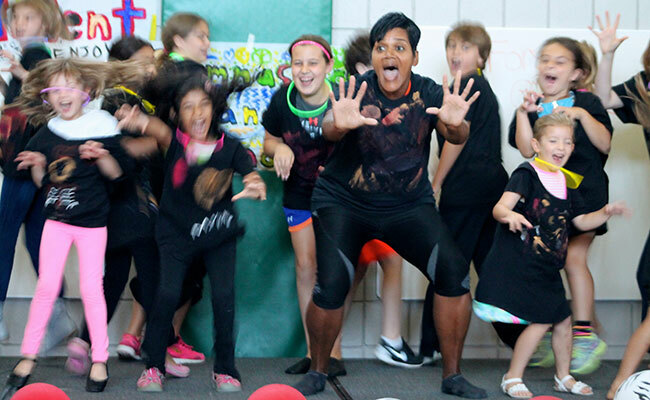 That's Ms. White front and center; with the help of her camp counselors, she orchestrated this fun production which had 2 showings.